Dallas, Texas (PRWEB) - Flowserve Corporation (NYSE: FLS), a leading provider of flow control products and services for the global infrastructure markets, today announced the launch of the Flowserve Limitorque Master Station III, a digital network solution that provides complete control, monitoring and diagnostics for up to 250 Flowserve Limitorque valve actuators. The Master Station III’s new modular, hot-swappable, redundant design builds on the proven technology of the Master Station II and significantly reduces commissioning and configuration time. If the active module fails, the advanced design of the Master Station III initiates the standby module to immediately take over the network for seamless control. When a module needs to be replaced or repaired, it can be removed and a new module can be installed without taking the device offline, reducing costly downtime. Another capability of the Master Station III is the slave register polling schedule that can be configured in order to optimize overall network communication performance and enable end users to download status and diagnostic information of critical valve actuators more frequently. A built-in network time protocol (NTP) provides time synchronization with the host controller, resulting in harmonized date and time stamped diagnostic logging. When an alarm is triggered, an e-mail notification is automatically sent to facility operators. The Master Station III can serve as an interface device between the host and the valve actuator network, or it can stand on its own. It features a simple touch-panel Human Machine Interface (HMI) supporting five languages: English, Spanish, German, French and Italian; and an external monitor and mouse can be connected through VGA and USB ports. 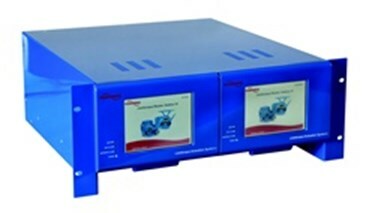 The new digital network controller is compatible with Flowserve Limitorque MX, QX, and L120 field units and can be used for power, petrochemical, oil and gas, water and wastewater applications. For more information about the Master Station III, please visit http://www.flowserve.com. Flowserve Corp. is one of the world’s leading providers of fluid motion and control products and services. Operating in more than 55 countries, the company produces engineered and industrial pumps, seals and valves, as well as a range of related flow management services. More information about Flowserve can be obtained by visiting the company’s Web site at http://www.flowserve.com. SAFE HARBOR STATEMENT: This news release includes forward-looking statements within the meaning of Section 27A of the Securities Act of 1933 and Section 21E of the Securities Exchange Act of 1934, which are made pursuant to the safe harbor provisions of the Private Securities Litigation Reform Act of 1995, as amended. Words or phrases such as, “may,” “should,” “expects,” “could,” “intends,” “plans,” “anticipates,” “estimates,” “believes,” “predicts” or other similar expressions are intended to identify forward-looking statements, which include, without limitation, earnings forecasts, statements relating to our business strategy and statements of expectations, beliefs, future plans and strategies and anticipated developments concerning our industry, business, operations and financial performance and condition. The forward-looking statements included in this news release are based on our current expectations, projections, estimates and assumptions. These statements are only predictions, not guarantees. Such forward-looking statements are subject to numerous risks and uncertainties that are difficult to predict. These risks and uncertainties may cause actual results to differ materially from what is forecast in such forward-looking statements, and include, without limitation, the following: a portion of our bookings may not lead to completed sales, and our ability to convert bookings into revenues at acceptable profit margins; risks associated with cost overruns on fixed-fee projects and in taking customer orders for large complex custom engineered products requiring sophisticated program management skills and technical expertise for completion; the substantial dependence of our sales on the success of the petroleum, chemical, power and water industries; the adverse impact of volatile raw materials prices on our products and operating margins; economic, political and other risks associated with our international operations, including military actions or trade embargoes that could affect customer markets, particularly Middle Eastern markets and global petroleum producers, and non-compliance with U.S. export/re-export control, foreign corrupt practice laws, economic sanctions and import laws and regulations; our furnishing of products and services to nuclear power plant facilities; potential adverse consequences resulting from litigation to which we are a party, such as litigation involving asbestos-containing material claims; a foreign government investigation regarding our participation in the United Nations Oil-for-Food Program; risks associated with certain of our foreign subsidiaries conducting business operations and sales in certain countries that have been identified by the U.S. State Department as state sponsors of terrorism; our relative geographical profitability and its impact on our utilization of deferred tax assets, including foreign tax credits, and tax liabilities that could result from audits of our tax returns by regulatory authorities in various tax jurisdictions; the potential adverse impact of an impairment in the carrying value of goodwill or other intangibles; our dependence upon third-party suppliers whose failure to perform timely could adversely affect our business operations; our dependence on our customers’ ability to make required capital investment and maintenance expenditures; the highly competitive nature of the markets in which we operate; environmental compliance costs and liabilities; potential work stoppages and other labor matters; our inability to protect our intellectual property in the U.S., as well as in foreign countries; obligations under our defined benefit pension plans; and other factors described from time to time in our filings with the Securities and Exchange Commission.